Description Houseplants look gorgeous in these stoneware pots. They have a dainty, daisy-like repeat pattern reminiscent of traditional embroidery and will add a stylish touch to any interior. 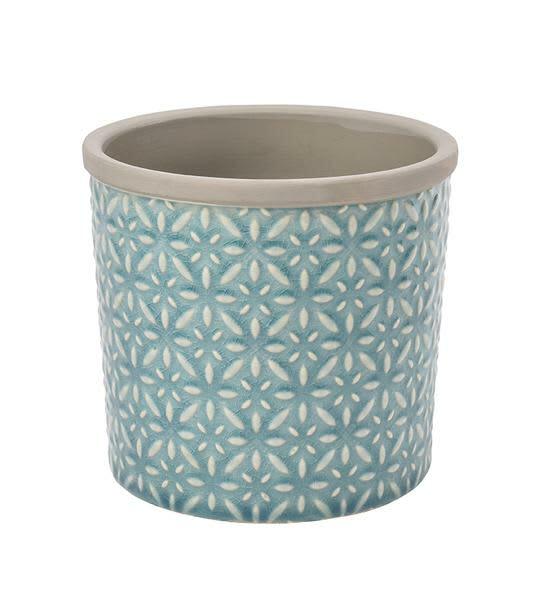 Made from durable stoneware and finished with a beautiful turquoise blue, crackle glaze.